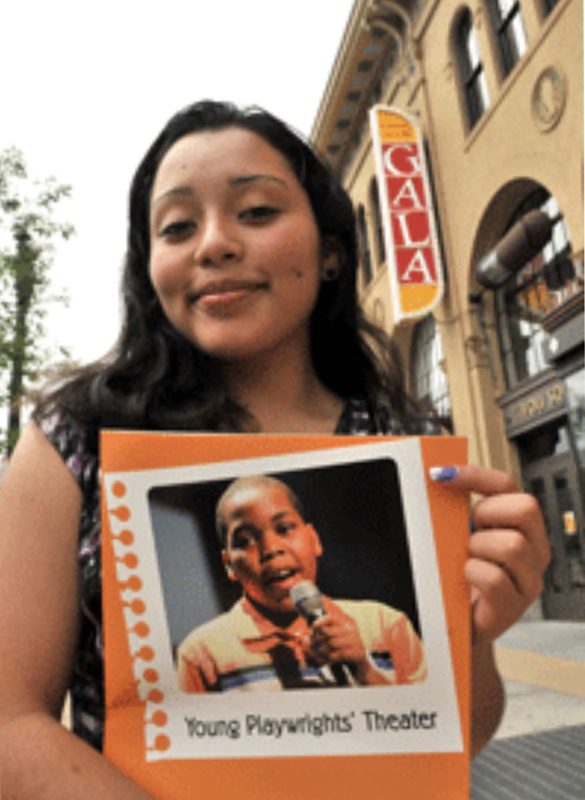 Each month, YPT profiles a new alum of a YPT program in our electronic newsletter, The Wire. In-School Playwriting Program at Bell Multicultural High School. With a little digging, we found it! Love Words by Fatima Rodrigues is a short play that she wrote as a high school junior and that YPT presented with professional actors in YPT's New Writers Now! performance at GALA Hispanic Theatre in 2011. The performance featured plays that explored communication and how it affects teenage relationships. "At first it was kind of difficult to come up with a story," Fatima recalls. "But YPT mentioned some ideas and I came up with using text messages as a type of format for my play." Fatima enjoyed her time with YPT and saw it as overcoming a challenge. "English being my second language, I never saw myself writing a play that got performed in a theater. It was a great accomplishment." 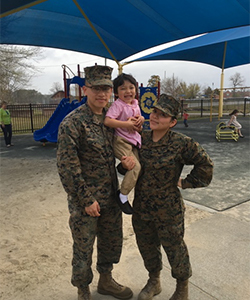 Since her time with YPT, Fatima, now 24, has joined the United States Marine Corps, married her high school sweetheart, Willy, and together they are raising their adorable five-year-old son Willy Orion. The Rivas family is currently stationed at Cherry Point, North Carolina. Fatima still writes to this day, writing short stories or anecdotes about her daily life. In fact, when she received her old play, she exclaimed, "Thank you! This was based on a true story. My true story. I wanted to continue the story; write the second half." Read more about Fatima's play in an article published in El Pregonero. Thank you, Fatima, for checking in with YPT!